The first time I descended those stairs, it was the scent of sweat, halfway down, that prepared me for the kind of sinfully beautiful things that men and women do with each other in that basement. The sunlight faded as the sound of music thundered against the walls leading to a scantily lit lounge. A bar on the left surrounded by tall stools on which nobody sat, a middle section cleared of tables and chairs, and people who did not readily notice my entry held each other, dancing with their eyes closed. I had never been to a dance class before. I had never really needed to be taught how to dance. It is something I had not required instruction to perform. The blood that flows in me is the kind that responds to music automatically. I come from a place where even in death, our ancestors still dance…to soul music, perhaps. That is why I was able to win dance competitions as a kid at the Kisumu Show Ground and at birthday parties held in the neighborhood. But that was ndombolo; where you crouch yourself like a baboon and whirl your waist like it is the devil’s bedroom. Slide, helicopter, kachinese, kuku dance, mosquito, odi dance, kanungo and whatever bodily interpretation of music Kenyans have ever invented have never bothered me at all. And so, when I first watched people salsa, I figured there was no way this could be that hard. Then I tried the steps and ended up looking like a drunk giraffe on heels. The first time I danced with a pro (well, she is not really a pro pro, but she is levels ahead of me, so in my eyes she is a pro), I stepped all over her feet. Aki you would have thought I was trying to put out a fire on her toes. I had not even asked her to dance. We were doing a rueda class, and when the lesson ended, our instructor switched the music and asked everyone to continue with a social with whoever they were holding. I was holding Mary. And with salsa it is always the dude who leads and the lady follows his cue. So, there I was in the middle of a song, holding a girl waiting for my instruction, and all of a sudden it felt like everyone was looking at me. Everything disappeared. It is like my brain had been formatted and all I had learned went away. I was in law school all over again, during exams; I knew everything – facts, cases, dates and statutes – just before entering the exam room, then the moment I sat down and read Question 1, everything disappeared like school fees in the hands of a Kisumu Boys Form 2 student. The only thing I could remember was a mambo, a right turn, and a cross body. Meaning, for almost half the song, we were just stepping front and back, and in her eyes, I could see she was getting bored. All around us, in that crowded, dimly lighted Metro Lounge basement along Koinange Street, the more seasoned bodies twisted and turned as the pulsing South American beat floated in the background. I did not want to be the one guy whose lady looked like she would rather be watching the weather forecast. So I tried turning salsa tricks. In my state of panic, my head came up with moves but it seemed like there was a broken telephone between my brain and my feet. I stepped forward when I should have stepped back. I cued her to turn when I was not supposed to. It was a disaster. I ended up walking all over her, and I was so embarrassed, I ended that dance even before the song ended (which, I later came to learn, is one of the seven deadly sins). I never danced with a pro again. I kept to my level. Made friends with Sarah who was also a beginner like myself, and we promised to stick together. For everyone’s sake, really. The social dance at Metro Lounge happens every Friday after class. As soon as it begins, the tiled dance floor is segregated depending on level of skill. It is not a written rule anywhere, but the experts flaunt their moves in the center, while those of us who still count 1,2,3….5,6,7 tend toward the dark outskirts. That is where Sarah and I find ourselves on most socials, rehearsing moves and once in a while stopping to marvel at the grown-ups flipping each other around like coins. “Aki today you seem distracted,” she said two-three Fridays ago. “Nothing. Ni kuchoka tu.” I lied. I was not tired. I was angry. Not at her, but at the Cuban Embassy. You see, inasmuch as I joined Salsa Afrique because I have always wanted to learn how to salsa, the reason I never missed a class since I joined was because Jaber and I had been planning a trip to Havana since last year. I was not really keen on going, but she was. She spoke about it all the time. That whole voodoo of sijui speaking things into the world and then they happen. She is the one who organized the whole damn thing. Got some of her friends to block out dates and have a vacation in Cuba. Booked the tickets early, and even got us to pay early before they went up. She found the website for the Cuban Embassy, downloaded visa forms for us to fill, and booked us a day to submit those visa papers. Nobody can exist around this kind of excitement and not get infected by it. I started looking forward to the trip myself, such that by the time we were pulling up to the Cuban Embassy in Runda, we were both bursting at the seams with anticipation. We were not quite bothered by the fact that the number on the Cuban Embassy website is someone’s personal cell phone number. The first red flag was the fact that we were not allowed into the premises. You arrive at the gate, knock, watchman comes out, takes your papers and goes back in. There is no face-to-face interview for the visa application. Which is a good thing as well as a bad thing. Good because I have never known how to interview – I always end up saying the wrong things. Bad because I had dressed up for this interview. I wore my Sunday best. There is this burgundy shirt that I wore to my sister’s wedding; long-sleeved, no collar, a series of golden buttons curving their way down from my neck to my waist. I wanted the consulate to see that shirt. It has received five-star reviews, and I never wear it anywhere, except to places I want to make impressions. We are parked outside the gate of the Embassy and then another car pulls up behind us and flashes its headlights. I get out, walk over to them and explain that there is no getting in. Turns out it was a taxi cab, so the lady seated on the back left asks him to complete his ride and gets out. It is one of those days when the sun has refused to show its face. Clouds hang low, pregnant with rain. A few drops trickle out, but nothing substantial. More like a tease of rain. By the time the watchman has come to collect her papers, her cab is already gone. She is freezing out there in that black pencil skirt, so I invite her to sit inside Jaber’s car. The woman from the Embassy comes out to us after a few minutes of receiving the papers. I had submitted more passport photos than they needed, and the girl from the taxi had not filled certain spaces in her form. “We will also be requiring your old passport,” she says to the girl. “No. This will be my first time,” the girl says after returning the now completely filled forms. All this time I am quietly wondering, first of all, if every other embassy reasoned like this, nobody would ever travel. And secondly, surely, this is not a job application where you require 5-year work experience. A brief silence as she skims through her application. “It is to be paid for by my workplace…” the girl begins. “But can someone appeal a rejection?” I ask. And with that bombshell still stifling our noses, the embassy lady is gone. There is no way we can leave the girl at the Embassy. There are no matatus in Runda, getting an Uber would mean waiting for one coming from Village Market, and the cold air smells like it will rain anytime. Also, she is going back to work which is on our way, so why not? If we can do one good deed for the day, then perhaps the universe will conspire to send good tidings our way too…like, say, a visa approval? As we sit through the traffic, we make jokes about the whole damn thing; not because we find it funny that I had dressed up for the watchman, but only to distract ourselves from anxiety of being rejected. We laugh, but only to hide fear. We are all praying that none of our phones rings for a number we did not have. No call comes through. We drop her off at The Mirage, then Jaber drops me home and goes for a funeral service at her church. An hour has passed, so we can breathe, donge? Jaber calls me even before she gets to the funeral service to say we have been denied. That last part drove me up the wall. I do not mind being denied entry into a country that is not mine. Of course, I will not show up at their doorstep and insist on entering then when they eject me I begin shouting “I AM NOT BOARDING!! !” It is their right to tell us to lamba lolo. But you know what? I paid $55 for that application, and if they were going to deny me a visa, the very least they could do is tell it to me, personally. $55 is about KES. 5,500. If they are on Safaricom (which they are) the most they would use to call me is 10 bob! They do not need to ask me how my day is when they are about to ruin it. They do not need to ply me with faux regrets or wish me all the best in my future travels. Just rip off the damn Band-Aid. If I am about to get fucked, I would prefer to be told myself, not through someone else, and much less through my girlfriend. It is not just about getting screwed, it is about being shown respect while at it. 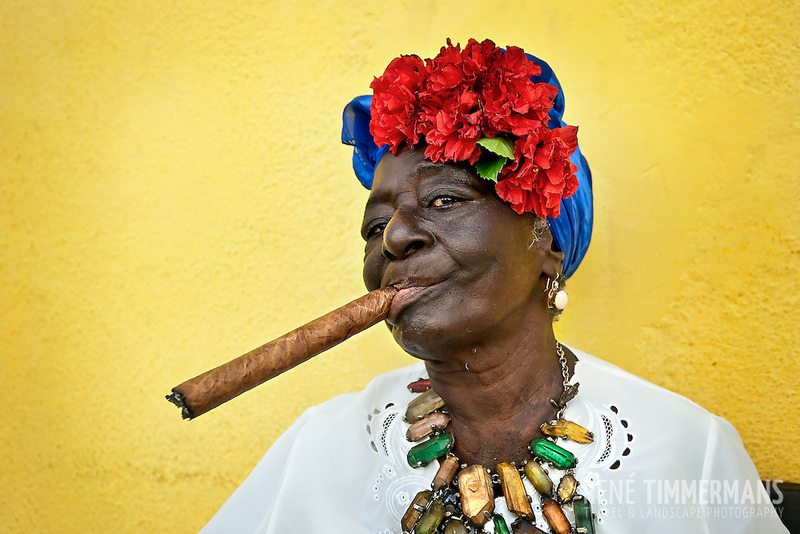 This well-sauced Cuban mama looks like she would agree with me. There is something about girls from Karachuonyo. Must be the water on that side of the Lake. Lakini they simply do not know how to give up. I doubt it is something they have ever learnt how to do. Jaber kept calling them, asking to know why we had been told no. She called everyone in her phonebook who she imagined could help. Me? I could not be bothered. I told her that maybe we should just go to places where we were wanted, you know? There are 68 countries that allow me to get in with just a passport; no visa required. And Malaysia looks like the kind of place fallen angels go on honeymoon. All the damn time!!!! It felt like I had to be at the bottom of the barrel scum of the earth for this to happen. It seemed as if being rejected by Cuba was the same as managing to piss off Naomi Mutua – you must’ve really outdone yourself. Ati what did I do? The only thing I have ever done is stayed black and waited to die. It was ironic, however, that Cuba of all places could be like this to outsiders. They would not be where they are today had immigrants not set them on that path. Because Fidel Castro was the son of a Spanish migrant and Che Guevara was Argentinian. And as a Luo I was personally offended because if only they knew how we revere those two men! We people of the Lake take great exception to people who have made history. You can never find a Luo asking that foolish question ati “what is in a name.” We believe that the name you give your children sets the course for the kind of destiny they will achieve. So maybe before denying us visa fwaaaaa, perhaps they should do a census on how many Luos are called Fidel or Che Guevara. Starting with the sadly departed Fidel Castro Odinga – first born son to our baba, Raila Odinga. Even then, I would never disappear to Cuba. I do not know how I can live away from home. Kenya is where my father’s bones have turned into dust. And though our healthcare is nothing compared to Cuba’s, at least we have internet…and M-PESA. I have not been around much. Lakini if Kigali’s suspiciously clean streets did not trap me…if the delicious bad manners of Kampala’s nighlife did not impress me enough to stay in Uganda… if the tang of fresh sea air in Dar es Salaam’s beaches could not keep me in Tanzania…if Dubai’s sparkles and grandiose glass towers did not hypnotize me into permanence…if the magnificence of Athens’s olive oil-soaked food and the shocking tenderness in the hearts of Tsoutsouros’s people did not lure me into Greece’s arms…if Netherlands with their raunchy Amsterdam streets and serenity in Utrecht did not make me forget where I am from…then I am suspicious of Cuba’s ability to steal me away from home. I have no doubt it is beautiful, but it is not that beautiful. The streets of Havana. Tempting, eh? Sometime last week Jaber called me to say that they had agreed to review our visa application. I told you girls from Karachuonyo do not give up. I was happy, but mostly for her. I was still too pissed. She said they needed more documents to support our trip. “My bookstore?” I had to be sure I was getting her right. “I am not doing it.” Then I hung up. She knew better than to prod me further. If I had been OK with not going to Cuba, now I was pretty damn sure I wanted nothing to do with it. I mean look. My name is Magunga Williams. I am the founder of The Magunga Bookstore. It is literally named after me and I had already given them the papers showing this. Yet they required me to get a letter from my bookstore saying that I work there? The most authoritative person to write that letter, would be me. How does a person vouch for themselves without looking like those people who like their own Facebook updates and Instagram photos? She got Davie (our other business partner) to write the letter, sent it to them, and the day after Jesus resurrected for the 1985th time, my passport came back with Cuban visa. Inside it, was a receipt for my $55. She leaves tonight for that 31-hour flight, and I am to follow after a week. I have never travelled out of this country alone, and I cannot lie that I am not glad I finally get to go. I am just peeved that I had to be degraded to get permission. Thankfully, Mary’s toes did not die for nothing. Haha.. the last time you wrote about salsa (which was a pretty long while ago), you sounded like you loathed it. But now since you have joined us, karibu. And by the way everyone has to step on someone when they are beginning. Just focus a little more. haha! I am a female dancer so i can relate with Mary. Glad you got your visa, keep thanking jaber for that. 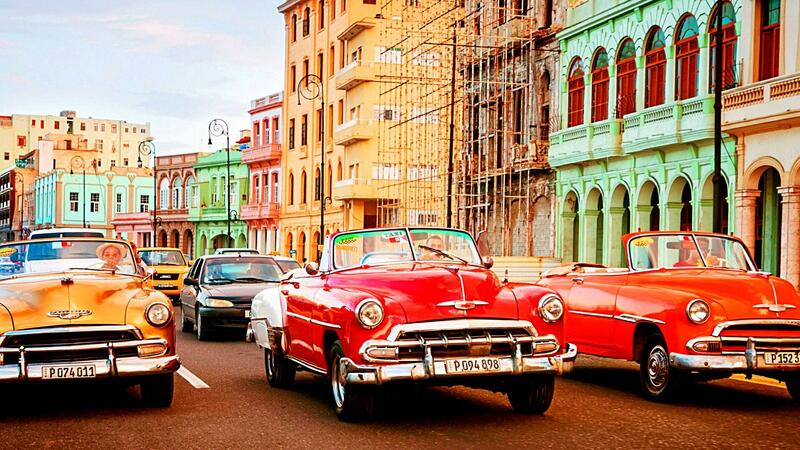 And tell us how havana is will you? Cheers.